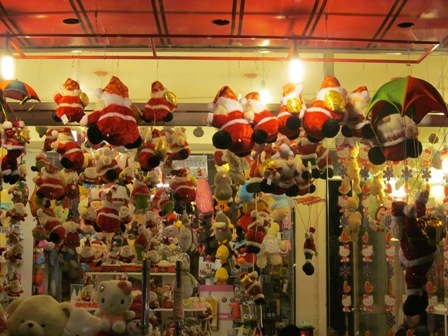 The most boisterous place may be Saigon Tax Trade Centre, where Santa's reindeer were put on display. 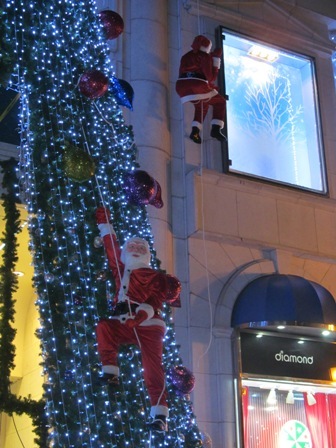 Snowmen and the Christmas tree also attract a lot of people to the centre. 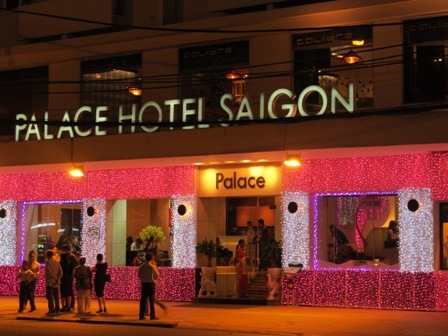 On the other hand, Saigon Centre is still the biggest venue for Christmas decorating, and kept a happy atmosphere for the night. Christianity was first introduced in Vietnam in 16th century and strengthened its presence when Vietnam was a French colony. Compared with Vietnam's original major regions of Buddhism, Christianity is still new to many Vietnamese. 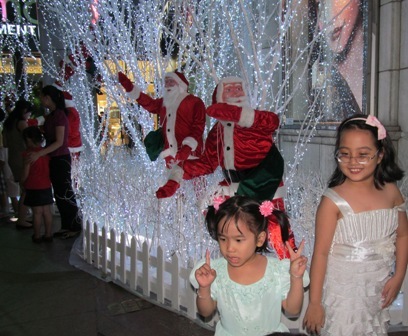 It has been rumored that the first Christmas celebration was held in the 17th century by a wife of Lord Nguyen Hoang. She was baptized and dedicated her life to the Christian faith. 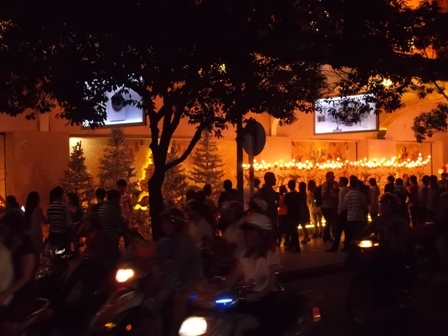 Nowadays young Vietnamese have been embracing Christmas without the religions connotations. Most see it as a sort of festival and an occasion to have fun with their friends and loved ones.